Talk about eye candy. I love this green! I am a sucker for a green nail polish, so I bought this as soon as it came out. 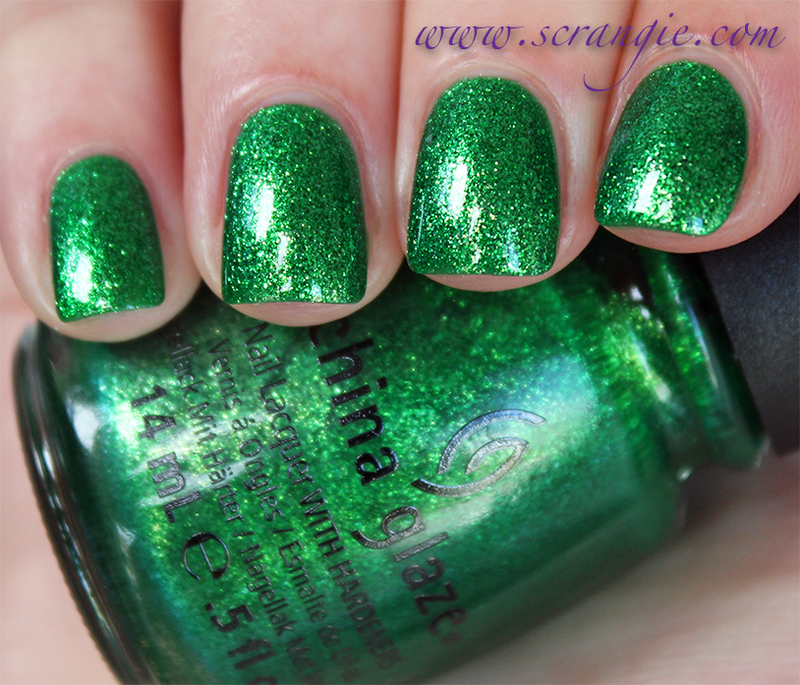 I love the color, but I wish the formula was closer to my all time favorite China Glaze green - Zombie Zest. I'm surprised the nail polish queen didn't know about this one! lol I recently picked it up myself and it is gorgeous. 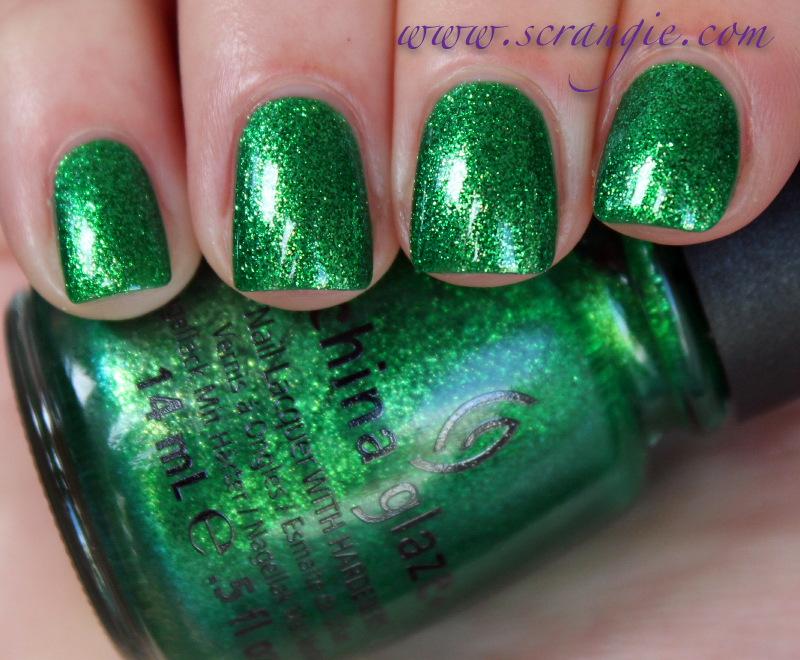 Makes me wanna buy more green polish! Pretty! I skipped on the Cirque Du Soleil collection, but I may need to rethink that. Oh YES: I love this one!! LOTS!!! I got this one and a couple of others... it is now one of my favorite greens! Gorgeous! This is hands down my favorite color of the year. I'm a nut for a good green and this one is stunning. It's one of those colors that when I wear it I just can't stop staring! 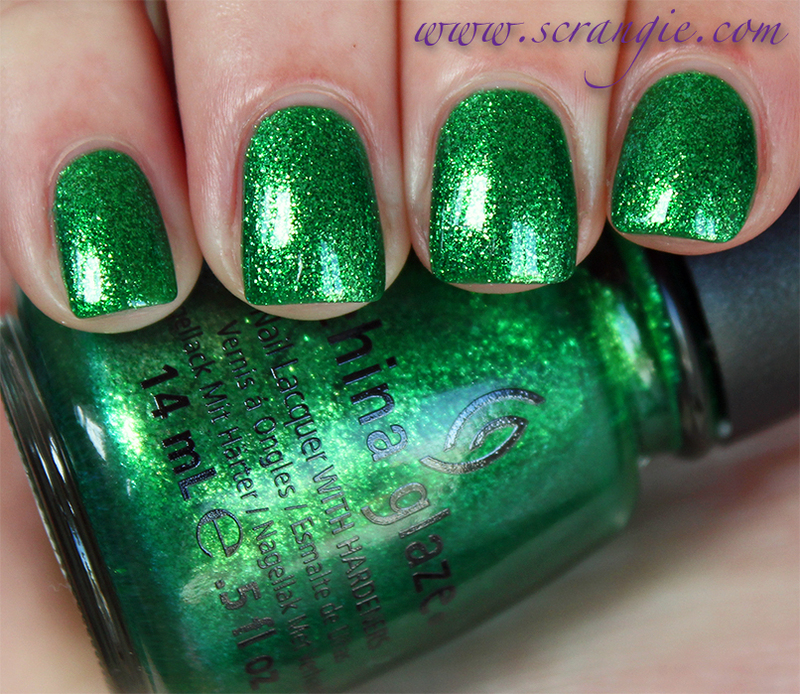 I loved this entire collection but only picked up def defying and its a trapeze. I really wanted escaping reality & water you waiting for. I have this color and love it! I get so many compliments when I wear it. This is one of my number two greens. I love it but it stains horribly. ooh that is a *nice* green!